Don't Let a Leak Ruin Your Home! 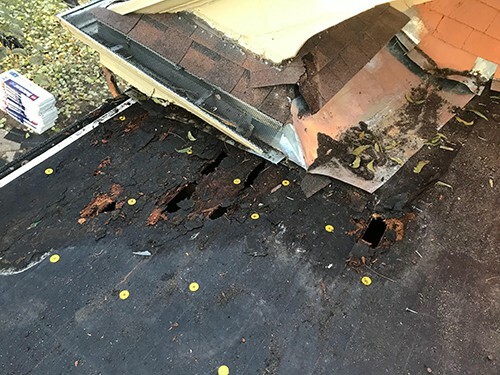 It’s very important to have your roof inspected as soon as you notice a leak, neglecting it will only make the problem worse and more costly down the road. We can assess the problem with a free roof repair inspection to determine the right solution. Call Today for a Free Roof Repair Estimate! Neglecting a small leak can result in major problems. Assessing the damage early and getting it fixed asap can save a lot of money, and in a lot cases not even needing a full roof replacement. When you call GAL-TECH ROOFING we can usually be onsite within 24 hours. Your schedule is important to us so we give you a precise time of our arrival. "Took care of my daughter and son in law. Fast and easy. Great guy. Took care of everything for her. Honest caring and smart. Give him a call and he will treat you right."